One hour of right down love is worth an age of dully living on. 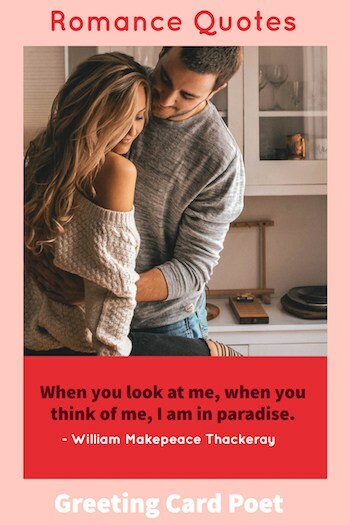 Romantic love reaches out in little ways, showing attention and admiration. 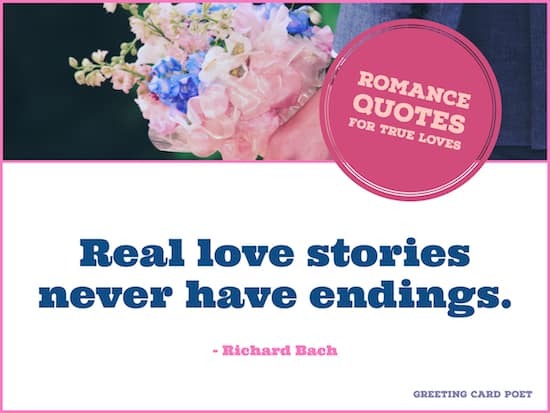 Romantic love remembers what pleases a woman, what excites her, and what surprises her. She was more than human to me. She was a Fairy, a Sylph, I don’t know what she was – anything that no one ever saw, and everything that everybody ever wanted. I was swallowed up in an abyss of love in an instant. 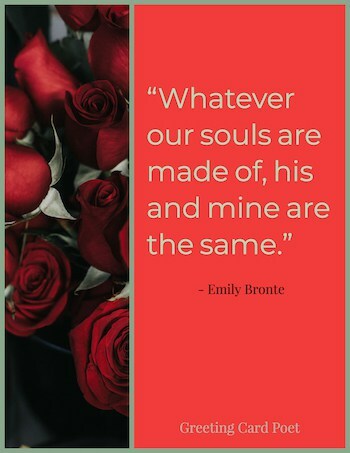 Tip: These romance quotes make great photo captions for Facebook, Instagram, and other social media tools. Justice is the loveliest and health is the best. 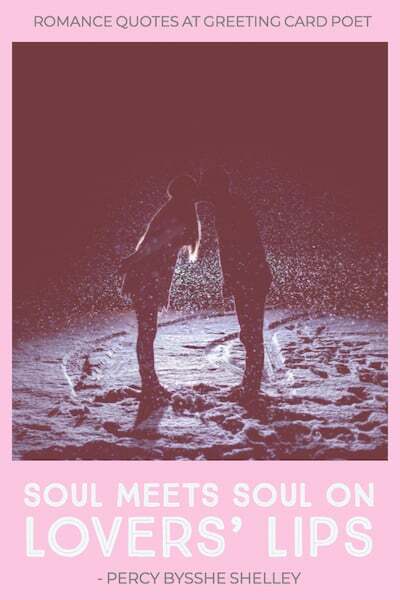 But the sweetest to obtain is the heart’s desire. I was born when you kissed me. I died when you left me. And, I lived a few weeks while you loved me. Vulnerability is the essence of romance. It’s the art of being uncalculated, the willingness to look foolish. We have a need for enchantment that is as deep and devoted as our need for food and water. Enchantment is the oldest form of medicine. Enchantment is the purest form of sales. Enchantment is all about changing people’s hearts, minds and actions because you provide them a vision or a way to do things better. 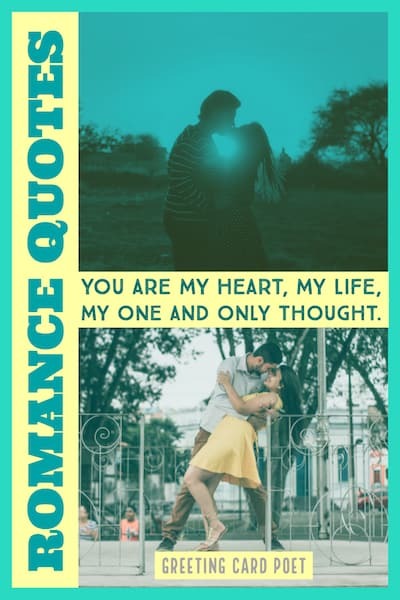 You’re on Romance Quotes page.